“If you saw my dogs, Walter and Sabby, with their borrowers, then you'd know how happy they are to go there! They fly out of the boot and charge up to their borrowers’ front door, tails wagging madly, pushing past whoever opens the door before running into the house without a backwards glance. I recently became a single parent who works full time with two teenage daughters - I can't afford full time dog care and don't want to leave my dogs on their own all day. The borrowers on BorrowMyDoggy are all so genuine, so I gave it a try. I've found the perfect match in Debbie and Mark as well as other amazingly helpful walkers who all give the dogs great exercise. BorrowMyDoggy is such a cost effective way of managing dog care needs, and it's great to help those in the community who genuinely love dogs. It's such a pleasant surprise to see so many local people joining the dog walking community. It's a win win situation!” - Walter and Sabby’s owner, Sue. 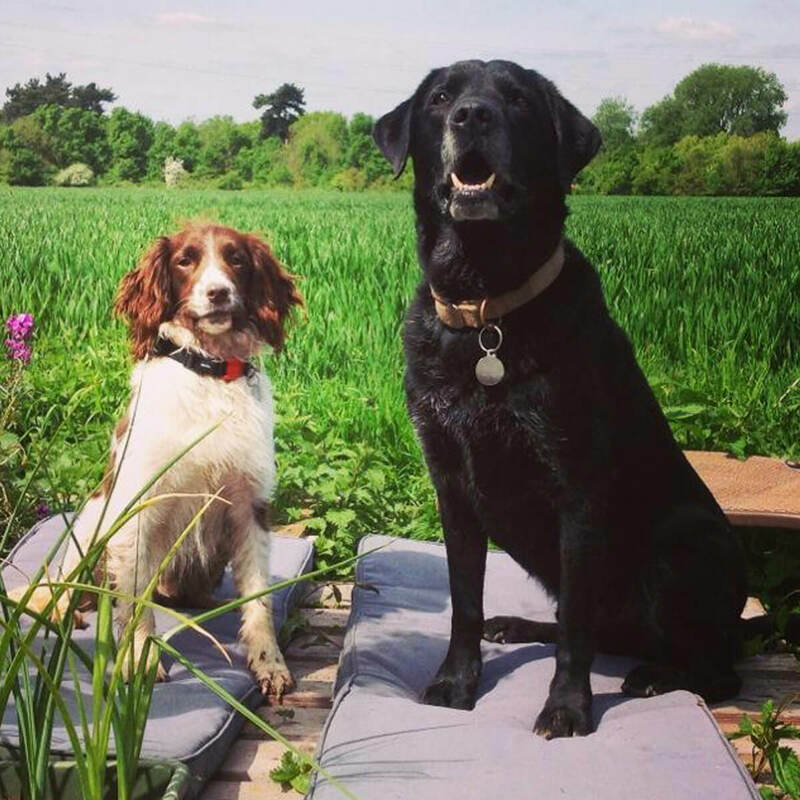 "My husband and I joined BorrowMyDoggy after losing our beloved Lab. Our business has changed a lot in the last few years and we’re now away a lot more, so this seemed like the perfect solution. We’ve got so much more flexibility with our match, Sabby and Walter. We have them weekly and it’s a real joy and double the fun with two of them! We can do more on the business whilst still getting our regular doggy fix, and the dogs are a great break from the computer. What’s more, borrowing the dogs has been so good for our mental and physical health. We’d both put on weight when we stopped walking, which we’re now losing. It’s also really lifted our spirits, which has made a huge difference to our mental wellbeing. I like the fact that there’s no money involved – it means that people are only doing it for the genuine love of dogs." - Sabby and Walter's borrower, Debbie.